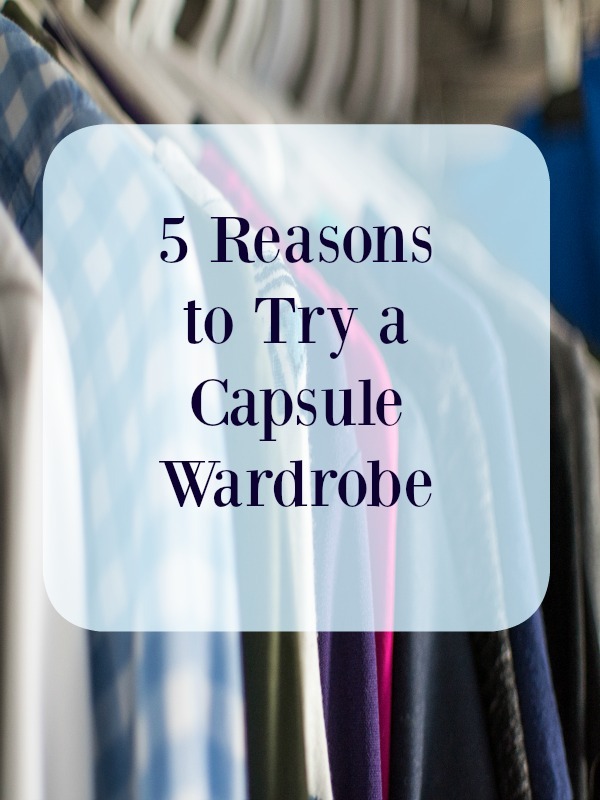 Fun fact: this post was originally titled “Why I’m Hesitant to Hop on the Capsule Wardrobe Bandwagon,” but then, as logic would have it, the more I tried to think of reasons why I shouldn’t try this particular trend, the more I came up with reasons why I SHOULD. That is why, last Saturday night, you would have found me pulling out every single item from my closet and taking a good, hard look at what I was willing to keep in a so-called “capsule wardrobe” that I’m planning on using exclusively for the next 2-3 months. For now, I invite you into my brain to hear out why logic finally won me over and why I am indeed finally going to hop onto the capsule wardrobe train. I’ll start by outlining my doubts, then go on and explain why the capsule wardrobe was actually often a solution for those doubts. Capsule wardrobes seem pretty inflexible (because you basically agree to only wearing certain pieces and nothing outside of the capsule for a certain amount of time), which didn’t seem to work in my life right now since my weight is currently in fluctuation. I was concerned that if/when I lose the 8 pounds that I’m still trying to work off, the pieces I’d chosen for my capsule would no longer work for my new body. Because my weight has been in flux over the past several months, my frustration with my closet was starting to reach an all-time high because I had tons of stuff in there that was now too big, some stuff in there that was still too small, and clothes I wasn’t really sure about how they fit because I hadn’t actually tried them on since losing 8-9 pounds over the past couple months. Choosing clothing for my capsule wardrobe would force me to weed out pieces that were now obviously too big and clothing that was still uncomfortably too tight, and find those clothes that actually fit me at the shape I am currently at. Also, because capsule wardrobes aren’t permanent and last only about a season (around 3 months), by the time the next “season” rolls around, I will probably be right on track to reconsider the clothing I’ve chosen since it will probably take about that long for me to lose the rest of the weight. Because I didn’t start a capsule wardrobe at the beginning of a true “season,” it would be hard to pick pieces that could work for winter AND spring and fit it all into one capsule wardrobe. Many capsule wardrobes are built around the idea of layering, not only for practical reasons (like the weather) but also because having such a limited number of options to wear forces people to get a bit creative with their outfits. I realized that by carefully selecting pieces that could be layered, I would feel prepared for any kind of weather. 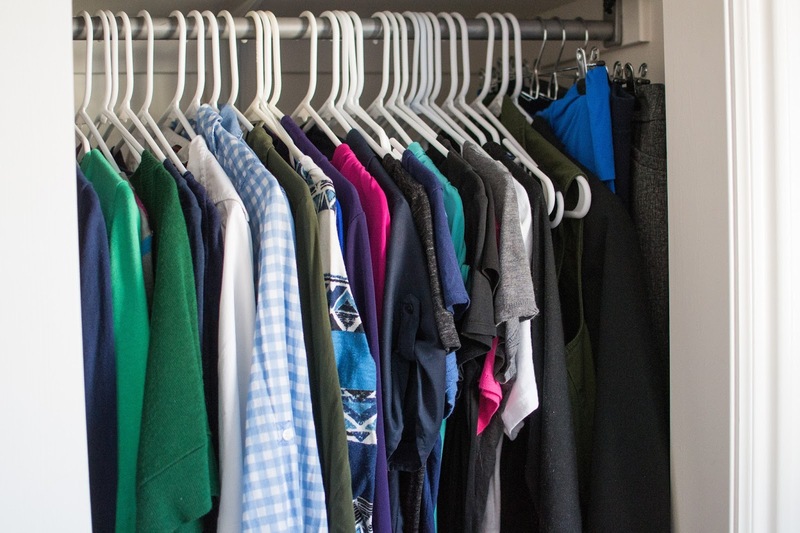 Capsule wardrobes seem to always include a very narrow range of colors, which seems, well, boring. I actually didn’t resolve this issue until I started pulling things out of my closet and trying to decide what would go into a capsule wardrobe (if I indeed decided to go that route after all). I started by selecting pieces that would definitely make the cut by following Marie Kondo’s advice to keep only what “brings joy,” and it became immediately apparent that most of my favorite pieces are, in fact, neutrals that can be easily mixed and matched. By the end, a few colorful pieces made it into the capsule too, but most of the wardrobe ended up being black, grey, white, and navy/blue. Guess my wardrobe is naturally pretty “boring” (I mean, sophisticated and neutral). I’m used to having a lot of options at my disposable–what if I got totally bored with having such a limited range of choices? Because I often felt overwhelmed by the sheer volume of clothing in my closet, I pretty much was wearing the same things all the time anyway, which was definitely causing me to get bored already. When I started laying out what I wanted in my capsule, I was struck by new and unique combinations that I hadn’t tried before, and it also helped that I *finally* knew what actually fit me now (and what didn’t), so I no longer had to rely on the same pieces that had been on constant rotation for the past several months. Also, I suppose that now would be the time to say that my “capsule” isn’t nearly as limited as most people’s—many people who have pioneered the capsule wardrobe movement typically have between 30-40 pieces (including shoes), but my capsule has more than that–about 45 pieces altogether. I think for my summer capsule (if I decide to continue with this trend), I’ll probably choose fewer pieces, but I thought a larger collection would work well for me right now since the weather does seem to be a bit unpredictable and more layering options would be really nice. This one was resolved by reading a few blog posts lately on capsule wardrobes, many of which pointed out that you absolutely don’t need to purchase clothes to go into your capsule (and that purchasing more clothes is generally what you’re trying to avoid by doing a capsule wardrobe). Some blogs also pointed out that a capsule wardrobe is often the perfect way to tell if you really could use a certain piece or not in the future—many of us often buy new clothing impulsively, without really thinking about how it will fit in with the rest of our clothing, but if you’ve gone through and tried out a capsule wardrobe, you would know very well if a new piece was worth the investment or not. So even though I don’t have some of the pieces I’d like in my capsule wardrobe–like a black skirt or a striped top–I’ve still got plenty of clothes to be getting on with, and I no longer felt comfortable using that as an excuse. So there you have it—why I finally talked myself into trying out this particular trend. Stay tuned for part two (coming later this week), where I’ll actually lay out the pieces that made the cut.